The distribution of solar cell modules is planned by referring to a plant shoot configuration. The object of this planning is to develop a solar power generation system with low directivity and a low installation space. In this study, the amount of insolation which reaches a plant shoot within an arbitrary period was investigated using the LAPS. The LAPS algorithm consists of the Genetic Algorithm and Monte-Carlo Method. In this analysis method, the optimal configuration of the shoot at the time of maximizing the amount of light received was clarified. The position of the light source in the representation day of mid-term to summertime has a wide movable range of the plant shoot configuration. Since the amount of light received of “the leaves arranged to the level surface” and “the plant shoot configuration optimized every month” is measured, light receiving characteristics of the Kenaf shoot model and coptophyllus shoot models were investigated. 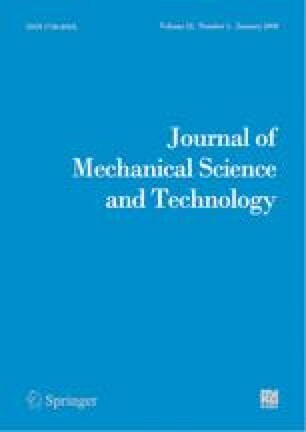 This paper was presented at the 7th JSME-KSME Thermal and Fluids Engineering Conference, Sapporo, Japan, October 2008. Shin’ya Obara received his B.S. and M.S. degree in Mechanical Engineering from Nagaoka University of Technology, Japan, in 1987. He then received his Ph.D. degrees from Hokkaido University in 2000. Dr. Obara is currently a Professor at the Department of Electrical and Electronic Engineering at Kitami Institute of Technology in Hokkaido, Japan. Dr. Obara’s research interests include fuel cell, renewable energy, power system and micro-grid. His major academic field is thermal engineering, power system and environmental engineering.